GLIRC is dedicated to runners of all ages and abilities! From kids fun runs to our annual High School Grant Program, we work to support young athletes and help grow the future of our sport. Your little athlete can be a GLIRC member, too! Extend your individual membership to include all family members for only $5. Family membership extends GLIRC benefits to all family members, meaning they will receive race discounts, local running store discounts, result inclusion in Long Island Footnotes, Facebook group access, and more. Annually, GLIRC awards a Nassau County or Suffolk County public high school with a $5,000 grant to support their cross country and/or track and field programs. All public schools are invited to apply, and more information can be found here. 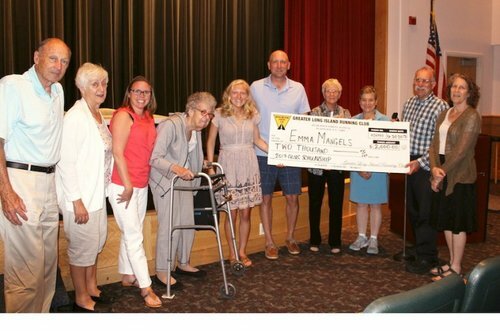 In addition to the grant, GLIRC annually awards the Herb Grayson Memorial Scholarship, a $2,000 award, to a high school senior with involvement in and service to the Long Island running community. 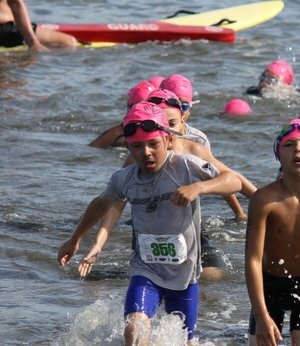 Registration will open late spring for our 2018 Jr. Triathlon Training Program!